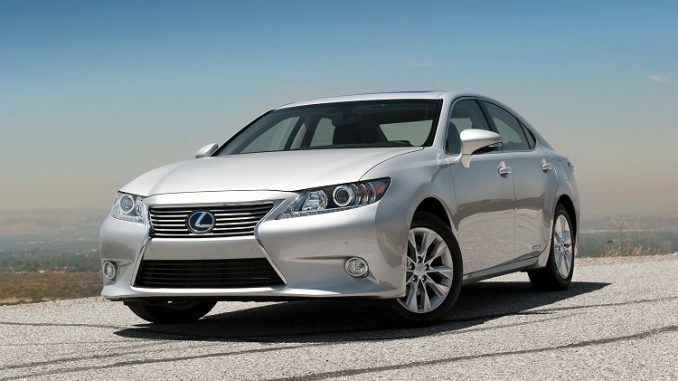 2015 Lexus ES300h – As desirable as most European luxury brands are, they all share one common issue: wallet-draining high maintenance and repair costs. It doesn’t matter whether you choose an Audi, Mercedes-Benz, or BMW, once the warranty is gone and the kilometres pile on, all have the effortless ability to empty your bank account like no tomorrow. If high running costs sound like something that would keep you up at night, then look no further than Lexus. As has always been the case, the latest ES takes the bones of Toyota’s pedestrian Camry and Avalon models, and adds a few layers of Lexus style and refinement. The ES excels at serving as a cocoon of smoothness and tranquility. With its stiff structure, impact-absorbing suspension, and library-quiet cabin, few luxury rides are better suited to melting the kilometres away. It may lack the dynamic touch that an F Sport package could add, but that sort of thing is best left to the more sporting models, like the IS and GS sedans, anyway. Supplying the ES350 with power is Lexus/Toyota’s familiar 3.5L V6 engine. My test car, however, was the ES300h, which comes with the 2.5L, 4-cylinder hybrid powerplant shared with the Camry Hybrid. The hybrid drivetrain, with its seamless, whisper quiet operation, feels well suited to the laidback character of the ES. There’s even an EV mode button that puts it in pure electric mode, which makes it quieter still. Often when I pushed it, however, the screen would tell me it was unavailable. Still, I was able to average an impressive 7.0L/100km of fuel during my week. Pricing for the ES300h starts at $44,450. At $53,350, my Executive Package-equipped tester came loaded with heated and cooled premium leather seating, sunshade blinds, power trunk, a 15-speaker Mark Levinson sound system, and a wide variety of useful safety assistance systems. Just about the only notable missing feature in the options list is heated rear seats. A comparably equipped Lincoln MKZ Hybrid will run you approximately $4,000 less, however, given the ES’s strong reputation for reliability and excellent resale value, I’d still consider it to be good value for a luxury sedan. Although I’d prefer more enthusiasm and a fun to drive character from a luxury sedan, I enjoyed my time in the ES300h. It’s remarkable refined, plenty spacious, and the feeling of high quality is always prevalent. A BMW or Audi may offer something more in terms of style or driving enjoyment, but as a dependable and relaxing partner that will keep your life simple and affordable, the ES is difficult to top.